OURLFC is happy to have partnered with Advantage Sports to provide high quality merchandise, training gear and stash for club members and supporters. These can be ordered throughout the year via their website. More items are available from the official OURLFC area of the Oxford University Sports Shop. Club Ties and Cuff Links are available directly from the club, please click "Buy Now" below to pay via Paypal or using Debit/Credit Card. 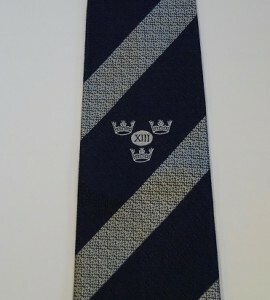 Ties are polyester ties with an embroidered club crest. 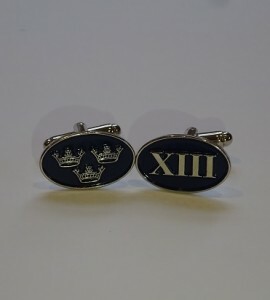 Dark Blue enameled cufflinks (2cm across) with a T-bar clasp, showing the club crest divided between the three crowns and the XIII.